When you love fried chicken but just aren't feeling the mess (or the worry of splattering hot oil), try one of these delicious alternatives. Honey biscuits and spicy "chicken wangs" were his "weakness," according to the Georgia pastor. After months of hints, rumors, and previews, Taco Bell is finally releasing a fried chicken taco shell. The Naked Chicken Chalupa is a chalupa with fried chicken in place of a regular tortilla shell, and it's being tested out in select locations in California and other markets. Is this your next president, America? Summer is a great time to gather your crew, tuck a napkin in your shirt and share some fun meals together -- and there's no better food to get your hands on than fried chicken. It might sound surprising, but one of my favorite ways to spice up an old recipe is by using breakfast cereal. But it never dawned on me to try branching out from sweet cereal recipes into the more savory category. Put garlic, coriander root, and julienned lemongrass, in a mortar and crush ingredients with a pestle. Transfer to a bowl. Add the rest of the ingredients into the bowl including water and ice. Mix well. Adding to that headline, I also felt like an insane jerkoff. Seriously, this chicken thing was a very big decision for me. You see, I had just ended a great night with my fiancée and a friend, and had a fantastic meal beforehand. If you are visiting Austin, or live here and haven't tried one of these, I urge you to please, put all of your plans on hold, and go try them today. 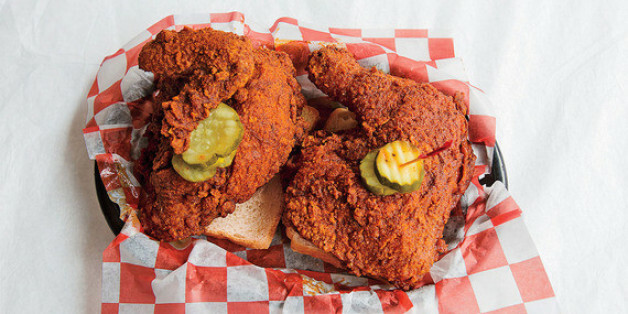 Fried chicken's feel-good sense of nostalgia is perhaps to blame for its rampant popularity. But that doesn't mean its preparations have to be limited to fast-food sandwiches. While we're all for eating healthy and counting calories, sometimes nothing satisfies our cravings like some crispy-fried wings served with homestyle sides such as waffles and mashed potatoes. Thankfully, fried chicken is currently enjoying a renaissance in America. "You see every walk of life in line at Hattie B's, from somebody selling newspapers on the side of the road to a neurosurgeon from Vanderbilt. It's about as southern as it gets, just a really fun atmosphere. And we got beer." In the South there is a rather unique subculture that I like to refer to as "Dowagers of Death." These Dowagers are fascinating women... they are usually women, although a man could certainly qualify to join the ranks.